Staking University is excited to announce our first-ever GPR training course Weds., May 17th! Taught by Dr. Dennis Prezbindowski, the class offers interactive, practical, hands-on GPR training for entry to intermediate level utility locators. Limited to 8 students, so sign up early! Dr. Dennis Prezbindowski, who has over 36 years of experience in this field, will provide interactive, practical, hands-on GPR training for entry to intermediate level utility locators who want to integrate GPR imaging into their locating / subsurface site characterization services. 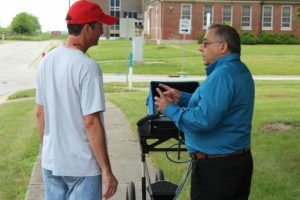 Participants will have hands-on project experience with multiple GPR instruments with continued discussions of how it compliments EM locating technology. The class size will be limited to eight individuals to insure a quality training experience for each attendee. The 3 day GPR training program will be held Weds., May 8th at Staking University in Manteno, IL. Staking University is one of the leading EM locator training organizations in the world, and provides an urban setting conducive to conducting realistic EM and GPR imaging locating projects during the course. Dr. Dennis Prezbindowski is the principle instructor for this one week Staking University GPR training seminar. Dennis earned a PhD in Geology from the University of Texas in 1981, and is a certified EM utility locator and a professional geologist. 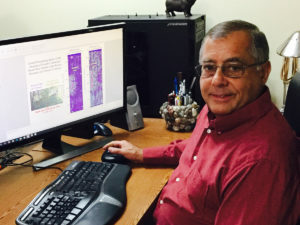 He has extensive field experience in the use of GPR and other geophysical instrumentation for utility locating and subsurface site characterization. He has also presented numerous GPR seminars over the last 14 years.